Puanani Wilhelm is the eldest child of Keawe Wilhelm and Hisako Ogata. She was born and raised in Kapahulu, Oʻahu and has lived in Kaneʻohe, Portland (Oregon), Kapahi (Kaua’i), and Hilo. She is a a graduate of the Kamehameha Schools and was one of the first two students to earn a BA in Hawaiian Language at the University of Hawai’i at Mānoa. 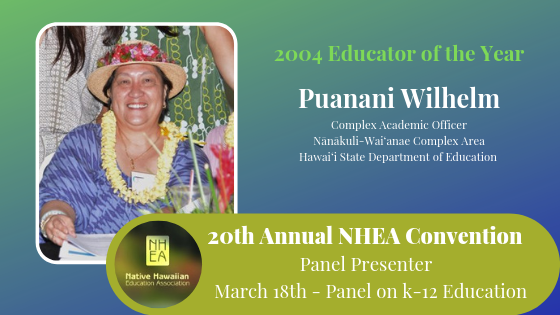 Pua started her teaching career in the Hawaiian Language Immersion Program (Kaiapuni Hawaiʻi) in 1987, at Keaukaha Elementary School in Hilo. She was the first teacher to teach in the Hawaiian language in a public school in almost 100 years. 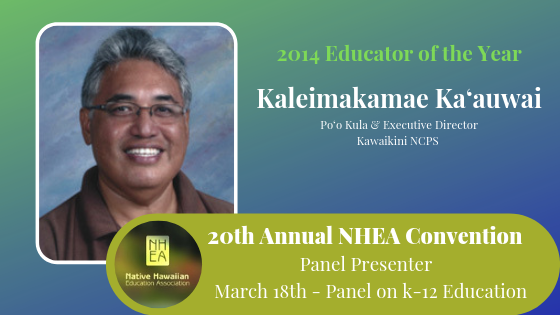 Pua went on to teach in Kaiapuni Hawaiʻi at Kapaʻa Elementary. In 1994 she became the first state level Education Specialist for Kaiapuni, where she worked for the statewide program for 11 years. After the death of her mother, she moved to Hilo to become the principal at Ke Ana Laʻahana, a Hawaiian culture-based secondary public charter school (PCS), where she stayed for five years. 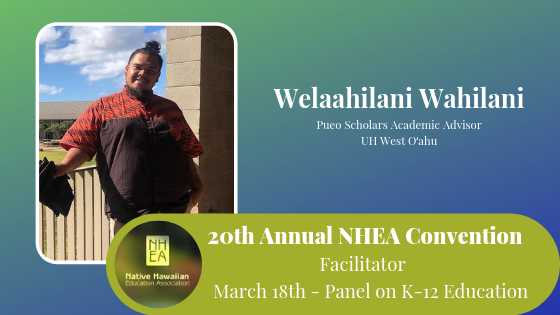 Pua then went on to be an administrator at Kua o ka La PCS in Puna, Hawaiʻi where she started their online program and coordinated their WASC accreditation efforts. She currently works as the Complex Academic Officer for the Nanakuli-Waianae Complex. Hemakana Yam-Lum is a student at UH West O’ahu and works as a Native Hawaiian student coordinator for the ‘Ike Ola and ‘A’ali’i Summer Scholars programs. 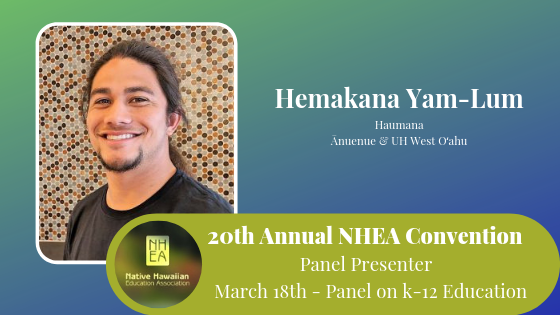 He is a graduate of Ānuenue school and proud product of the Hawaiian Immersion program. Hema is currently in his senior year studying Hawai’i-Pacific Island Studies. Samuel Welaahilani Wāhilani III, affectionately known as Wela is a graduate of the University of Hawaiʻi-West Oʻahu with degrees in Humanities with a concentration in Hawaiian Pacific Studies and Business Administration with a concentration in Marketing. Welaahilani is also a graduate of Ka Papahana Kaiapuni. He has attended Punana Leo o Honolulu, ke Kula Kaiapuni o Waiau, and graduated from ke Kula Kaiapuni o Ānuenue. He has a passion to give back to Ka Papahana Kaiapuni, since it has given him so much. He is currently pursuing a masters degree in Educational Administration at UH Mānoa. His goal is to one day be a chancellor of the first Hawaiian Immersion university.